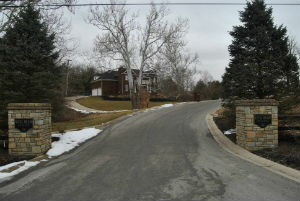 Nevel Meade is a great neighborhood with a wide arrange of luxury homes just off Covered Bridge Road in Prospect KY. 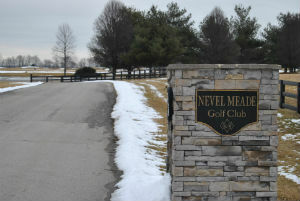 In the center of the neighborhood lies one of the best golf courses in the Louisville area, Nevel Meade Golf Course. Designed after Scottish golf courses you will find the rolling hills and old trees make the course unique in challenging at the same time. Another great reason you will want to move to Nevel Meade is for the School district. The neighborhood is beatiful to drive through, develpped on the rolling Propect countyside each home offers beautiful views and privite lots. It's truely one of Louisville's great neighborhoods and a neighborhood you must consider if you are looking to relocate to the area. For your convenience, register for a free account to automatically receive email listing alerts whenever new homes come on the market in Nevel Meade that match your specific criteria. 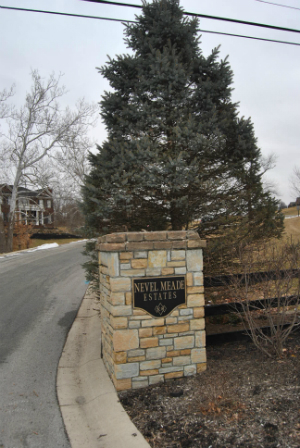 SELLING YOUR Nevel Meade Home? If you are planning on selling your Nevel Meade home, and would like to determine the value, click here.